1. Zest the lemons to get 1Tablespoon of lemon zest. Then cut the lemons in half. 2. Peel and finely mince the garlic. 3. Place the garlic in a small bowl with the vinegar. 4. Using a citrus squeezer, squeeze three of the lemon halves and add to the garlic and vinegar mixture. 6. 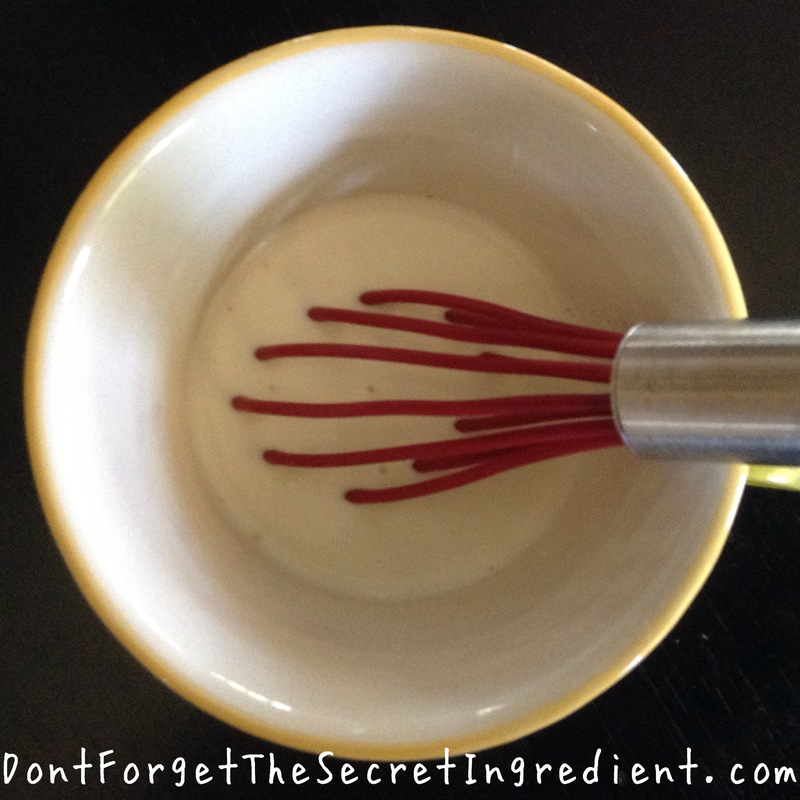 Whisk in mayonnaise until well combined. Season with salt and pepper to taste. I love this light and lemony dressing. 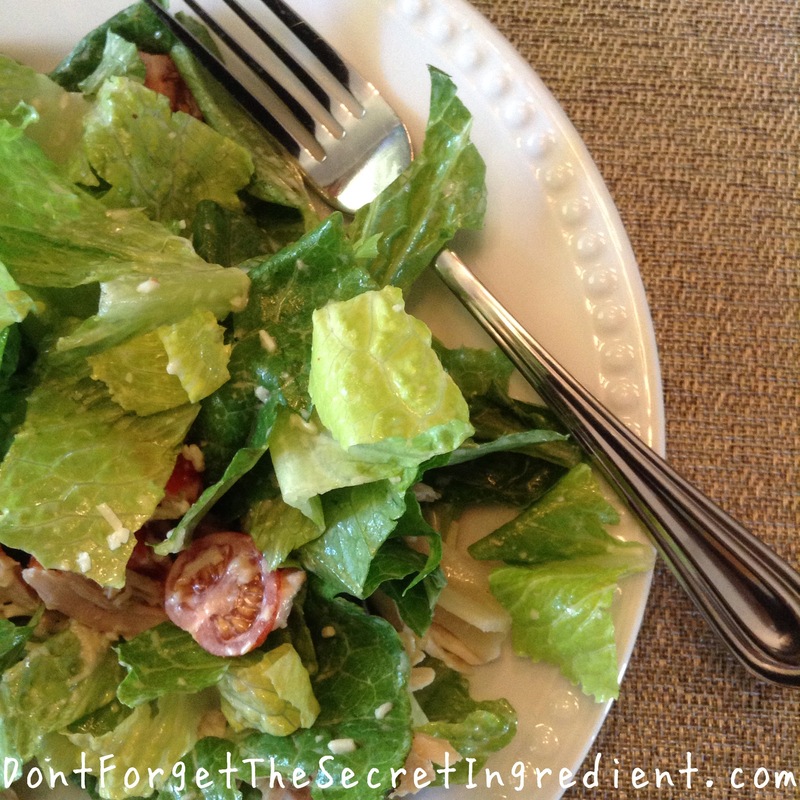 It is delicious on a Caesar Salad made with either chicken or salmon. This makes enough for four meal-sized salads. Slice the remaining 1/2 lemon into wedges and place on side of each plate.